Website description - Helicopters, pocket watches, helicopter flight simulation and more. The information are © by Dirk E. Fassbender unless stated otherwise. The use of information from this site for non-profit purposes is encouraged, but they may not be republished in any form without written permission. The images are © by Dirk E. Fassbender, unless another photographer is acknowledged. Images cannot be published without permission from the photographer. The person who is the original source of images must always be acknowledged. If I need something different, I try to ride my Russian motorbike so that the sidecar remains on the street. I like to display pictures which are taken at work on this website. Also I like to show you some information about my hobby. I hope that I can get more information running across the borders. I would like to extend my sincere thanks to all people around the world, for supporting my Flight Simulator projects. Without your contribution and support the projects would not have been possible. Many thanks for your support. I hope you are happy with the results. Lynn A. Rogers, Anchorage, Alaska, for his repaints. Antti Pankkonen, Espoo, Finland, for his fantastic Helicopter autopilot. Jordan Moore for HOVERCONTROL.COM and even more. 1987, March - Airforce screening at Fürstenfeldbruck. Crew 3A/87, Piaggio P-149-D. First solo 11.06.1987. 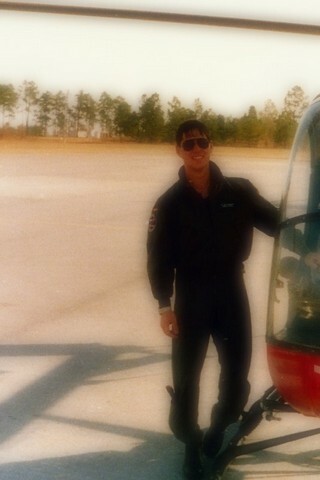 1987, October - The helicopter training started at Ft. Rucker Alabama USA, TH-55. First solo 08.12.1987. 1988, June - Europäisierung at Ahlhorn, Germany, UH-1D. 1989, July - 1st squadron Special Air Mission Wing MOD, Cologne, Germany, UH-1D. 1997, September - Type rating, Eurocopter, Marseille, France, AS532U2. 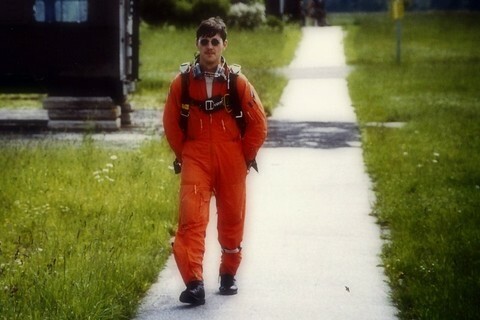 1999, March - Type rating for my commercial pilot licence, Schönhagen, Germany, Hughes 300c. 2000, October - Instructor certificate AS532U2, training was done at Helikopter Service, Norway, AS332L2. 2004, February - Checked out night vision goggles. 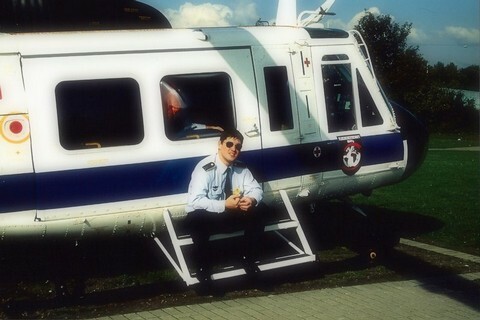 2004, March - Certified Helisim Instructor, AS332L2. 2007, January - JAR-FCL ATPL (H) issued by the Luftfahrt Bundesamt. 2007, March - employed by CHC Helikopter Service AS. 2008, September - Checked out as Captain, AS332L2. 2010, February - Checked out as technical pilot, AS332L2. 2010, July - Checked out as TRI, AS332L2. 2010, July - No more language proficiency demonstartion required, English Level 6 evaluated. 2010, September - SFE (H) NO/Ex/618 and language proficiency assessor. 2011, May - TRE(H) AS332/EC225 NO/Ex/618 and language proficiency assessor. 2014, August - No more language proficiency demonstartion required, Norwegian Level 6 evaluated. 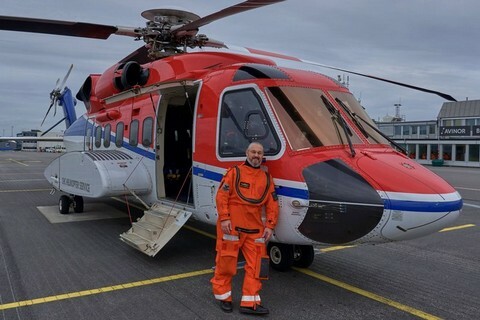 2015, March - Checked out as Captain, EC225. 2016, August - Checked out as Captain, S92A. 2016, October - Due to the grounding of EC225 I lost my TRE now.